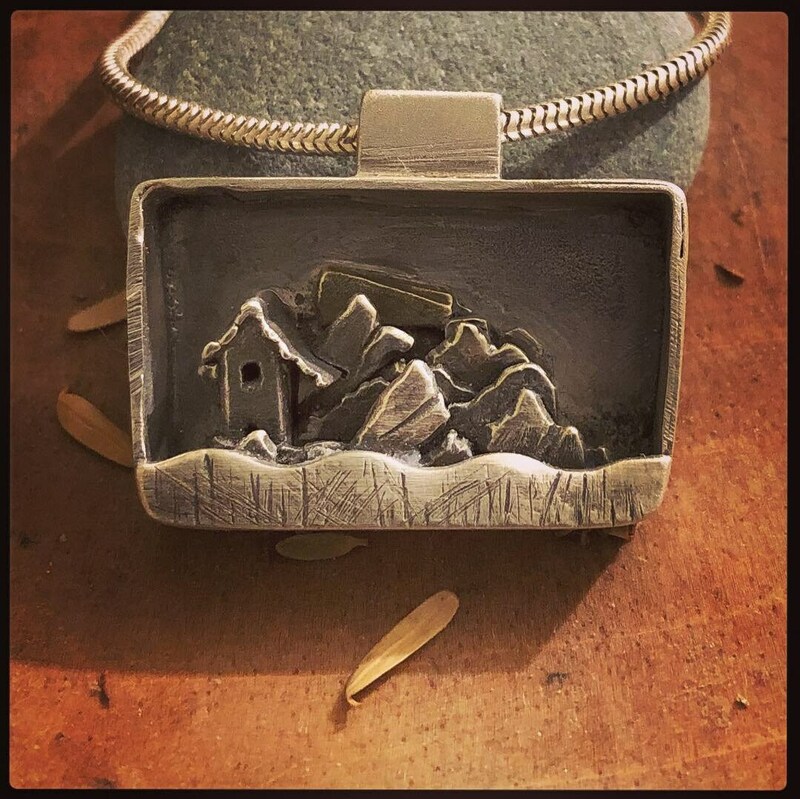 This is a sterling silver shadow box with layers of Mountains and a tiny house nestled between peaks. 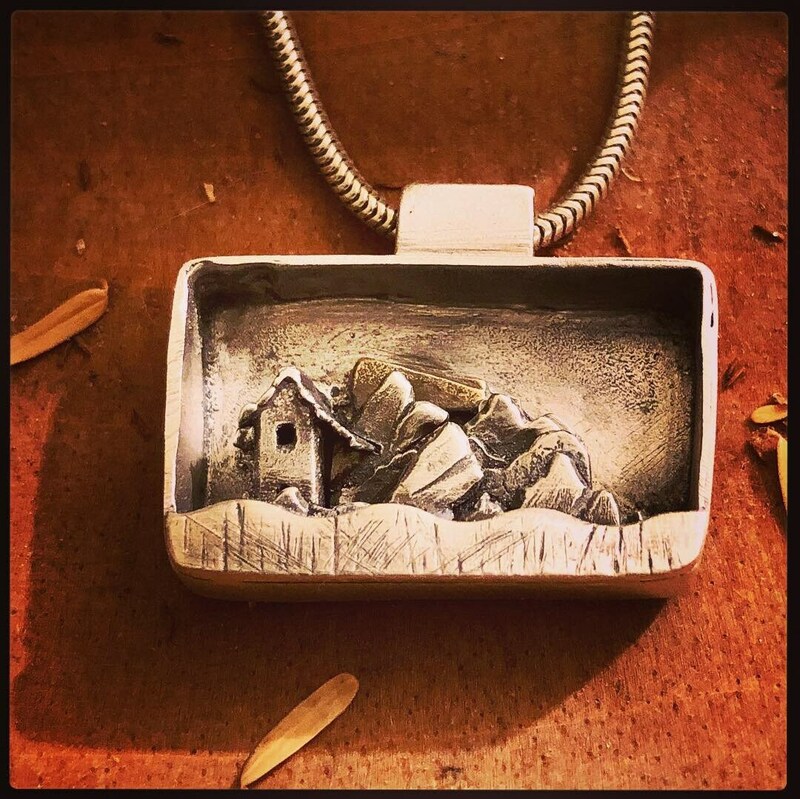 Every element of this design I hand fabricated using my jewelers hand saw; nothing is cast. The box is a 1/4' deep and measures approximately, 1/2' x 1'. Even the window in the house was hand pierced and filed. I applied a light patina to create some contrast through oxidation. This is a one of a kid piece of art to wear.